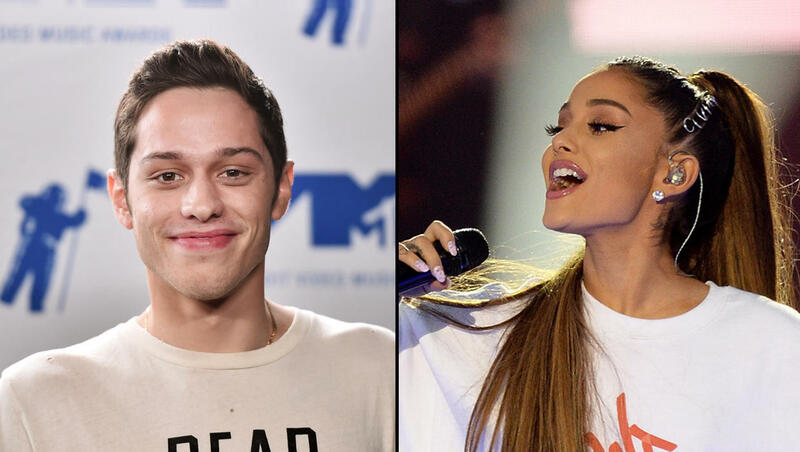 After just a few months of dating and a whirlwind engagement, Ariana Grande and Pete Davidson have called it quits, according to multiple reports. The news comes after the "Saturday Night Live" star was spotted last Monday at a Yankees game with a new heart tattoo to cover up the bunny ear tattoo he got in honor of Grande. In September, Grande dropped out of a scheduled appearance on "Saturday Night Live." Executive producer Lorne Michaels said it was because of "emotional reasons." At the time, Grande hinted to having a tough time, tweeting, "can i pls have one okay day. just one. pls." Grande's ex-boyfriend, rapper Mac Miller, was found dead on Sept. 7. Later, Grande said she was sorry she couldn't save the "sweetest soul" who for so long was her "dearest friend." Grande and Davidson skipped out on the Emmys in September as well, even though the cast of "Saturday Night Live" was up for multiple awards. The couple got engaged in June, after a few weeks of dating. Davidson frequently gushed about the relationship during interviews, saying things like, "I feel like I won a contest." In late September, he told Howard Stern, "I just think some people are meant to be together and some people aren't. Even if they are good people or not, some people just aren't good in relationships together. And I just think we're supposed to be together." Last Monday, Davidson was seen with his Grande-inspired neck tattoo blocked out with a heart. The original bunny ear tattoo was inspired by the artwork from Grande's album, "Dangerous Woman." Over the weekend, Grande dropped out of a scheduled appearance at the F**k Cancer's inaugural Barbara Berlanti Heroes fundraising gala, hours before news broke of the split. Grande's manager, Scooter Braun, said, at the event, "Someone I'm very close to was supposed to come to sing for you today, and because of things she's going through, she couldn't be here today. And while I was frustrated, being the manager, my wife, being who she always is, just looked at me and she goes, 'She needs this time.'"